If you enjoy stories of people chasing dreams, living their best lives and exploring their identities, use this list to get inspired. Culling out a list of books that are one’s favourites from the past year is always difficult. One reason is that one is never sure any such list will ever be complete. There’s always the sense of something one has missed out, the one book that has slipped the mind and that this error of omission will haunt one forever. This year, this task is also different, because I decided to conscientiously read more women authors, which is reflected in my list. So without much ado, here are the books I read from 2018 that nourished the soul, and fuelled the spirit. When a 19-year-old student became the target of social media trolls, she could have been scared off voicing her opinion forever. But Gurmehar Kaur is made of stronger stuff. She stood up to the vitriol, and then she wrote her story of three generations of strong women in her family who have confronted the world head on, on their terms. Her writing is elegant and precise, and tells us about how small acts are often the ones that ignite the larger flames. Malini Agarwal came to Mumbai on a hope and a prayer, and today is India’s most popular blogger having created a business out of what most people still treat as a hobby. She hobnobs with the stars, is a regular on red carpets, and is living the dream. And she’s done it all purely on grit and determination. This book is the story of how she did it. When two firebrand feminists put together narratives of how feminism is lived, the result is a book that you cannot put down. 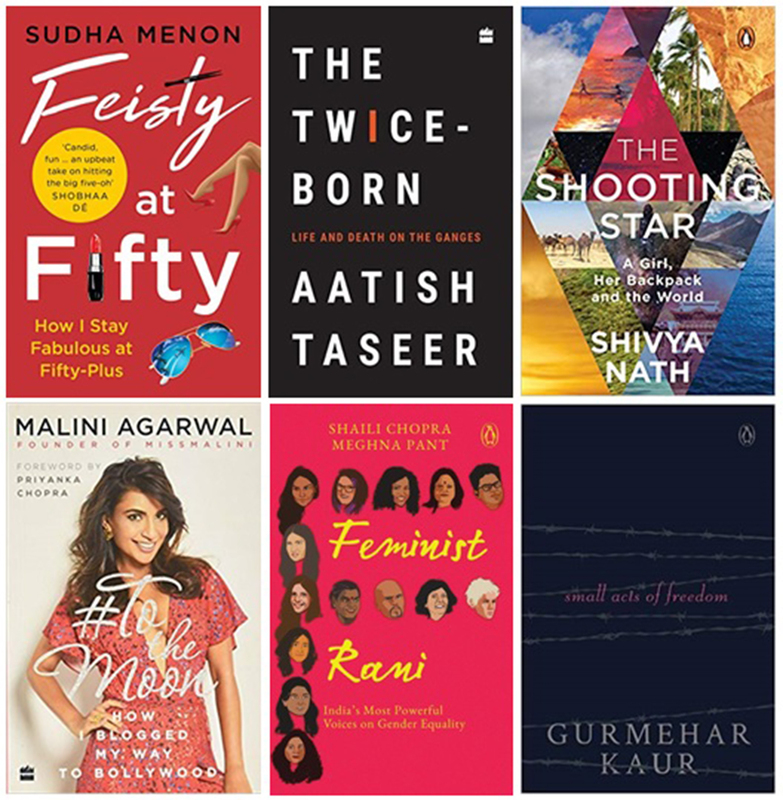 A collection of interviews with women and men who live their feminism, written with perception, empathy and kindness, Feminist Rani has stories from actors Kalki Koechlin and Gul Panag, comic Aditi Mittal, transgender activist Gauri Sawant along with other feisty women who tell us how their choices have brought feminism into their everyday life. This haunting and elegantly written book by Aatish Taseer explores his fascination for Benaras, and through the “twice-borns” of the title, the Brahmins of Benaras, he seeks to explore his own fragmented identity. The book delves into how the past and the present collide in modern-day Benaras; how caste, tradition, modernity, politics and culture coalesce and fragment, creating a situation that is at once fragile yet tenuous. The beauty of this book is not just in the visual imagery of Benaras that the author recreates so skilfully, but in the bare bones honesty of the writing. This is a fun book I blurbed for, and while I have a couple of years more to hit the 50s, Sudha has portrayed it as such a fun ride, that I’m actually looking forward to it. The book is a no-holds barred account of what it means to be a 50-plus woman in a society that worships youth, and is all about embracing and enjoying this stage of life to its fullest. When Shivya Nath decided to be a digital nomad and travel the world, she was only 23. Though so young when she made the decision, she’s stuck to it and this book offers her journey around the world, living experiences we can only dream about and conquering her fears in the process. Much more than a travel memoir, The Shooting Star… is a book about believing in your dream and reaching out to achieve it.